Sunday’s column has news about community reads launching in Pomona (“Farewell to Manzanar”) and Claremont (“Take One Candle Light a Room”), plus some vignettes and cultural items. 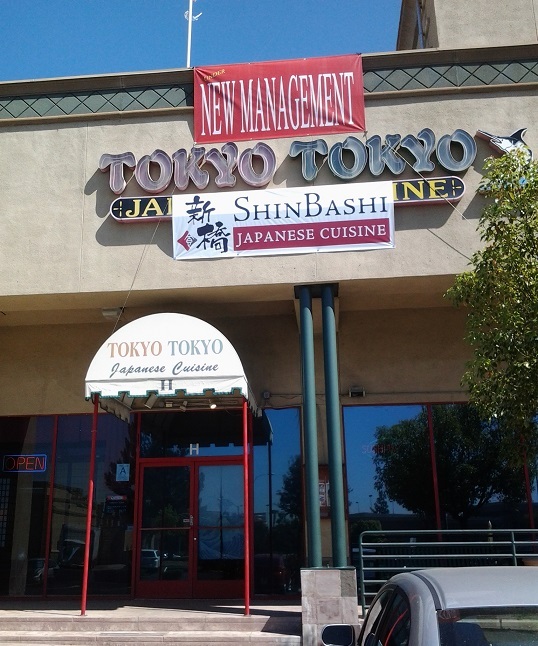 Tokyo Tokyo, 990 Ontario Mills Circle, has changed hands and is now ShinBashi, as tipster Bob Terry alerted me. If the faded condition of the sign is any indication, the restaurant was not being kept up. But 15 years ago, Tokyo Tokyo was a big deal. In the Ontario area, it was a happening spot, especially on a Friday or Saturday night. Newsroom colleagues and I had many lunches and dinners there in the late ’90s and early ’00s. Come to think of it, Tokyo Tokyo may have been the first place I ever had sushi. The interior seemed glitzy in those days, almost like a nightclub: patio dining, Japanese paper screens, a couple of private rooms with sunken seating. A signature feature was koi swimming under glass tiles in the floor leading from the entryway back to the sushi bar. This must have tripped up hundreds or thousands of others as it did me, the first time or two. You had the sense you were stepping into water. The food may only have impressed those of us who didn’t know much about Japanese food, which at that point was practically everyone who lived here. But it seemed good. I don’t know when or how Tokyo Tokyo lost its mojo, or why. In one period, the health department grade was a C, a shocker for a business-lunch spot. Quite likely, tastes for Japanese food became more sophisticated, and Tokyo Tokyo would have gradually been lost in the shuffle as more restaurants opened around Ontario Mills. The increasingly faded sign seemed to show the bloom was off the rose. “The whole place is worn out,” one Yelp commenter wrote in July, saying the restaurant had never been remodeled. So, inevitably for rundown has-beens, Tokyo Tokyo is gone. Welcome to ShinBashi. “Koi still there, for now,” Terry reports. Good luck to the koi and to the new owners. Somehow, Glendora’s Donut Man beat out such L.A. heavyweights as Philippe’s, Langer’s, California Pizza Kitchen and even In-N-Out in an online poll to determine L.A.’s iconic food, sponsored by KCET. I chat with a surprised but pleased Jim Nakano, the Donut Man himself, in Friday’s column. See the whimsical voting brackets here, and if you’ve got 26 minutes, you can watch Huell Howser’s visit to the Donut Man (and for 56 minutes, his Philippe’s segment) here. 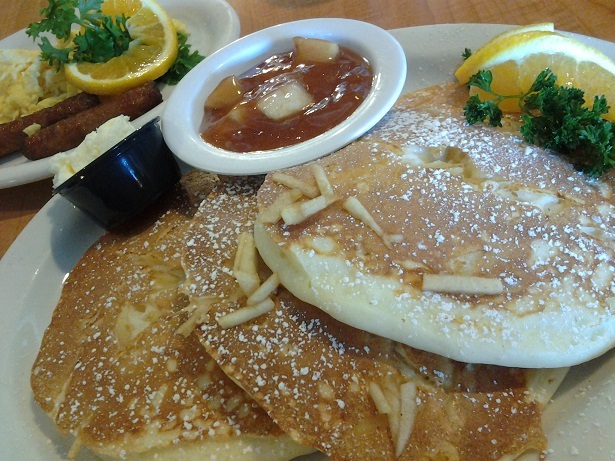 Flappy Jack’s Pancake House, 640 W. Route 66 (at Grand), Glendora; open daily until 3 p.m. Anytime you drive past Flappy Jack’s at mid-morning, there’s a bunch of hungry people sitting or standing outside, waiting for a table. It’s the same scene you see at BC Cafe in Claremont. This first-timer decided to try beating the rush by showing up at 8 a.m. My wait was only five minutes. It’s a busy place, one that operates like a well-oiled machine; two people handle the seating list and phones, and when you sign in, they give you one of those devices that buzzes when they’re ready for you. While you wait, you can check out the cool mural inside. 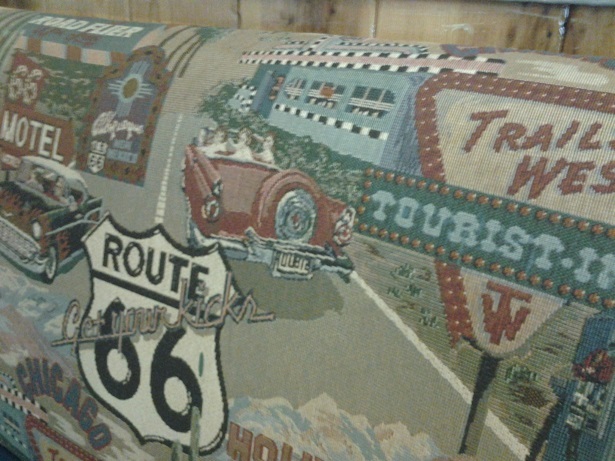 It depicts Route 66 from west to east in legendary fashion. 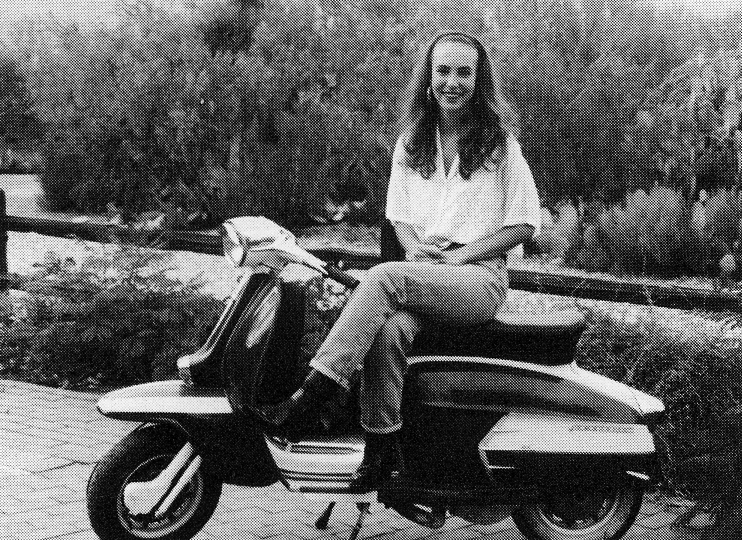 Al Capone is in Chicago, John Wayne is in Arizona and in L.A., James Dean and Marilyn Monroe share a motorcycle. Tin advertising signs and Route 66-embroidered booth backs, seen below, add flair. The menu has, by my count, 23 styles of pancakes, including Hawaiian, cream of wheat, pecan and bacon, as well as crepes, waffles, french toasts, skillets and, if you’d rather have lunch, sandwiches and salads. I went for cinnamon apple pancakes ($8.89) plus two eggs and sausages ($2.39 extra). My three pancakes were exceedingly fluffy, with slivers of apples as well as an apple compote on the side in lieu of syrup. Really good. “No rush at all,” the server said as she left my check. I had one pancake left, and I realized I was suddenly too sluggish to rush. But I did manage to finish. 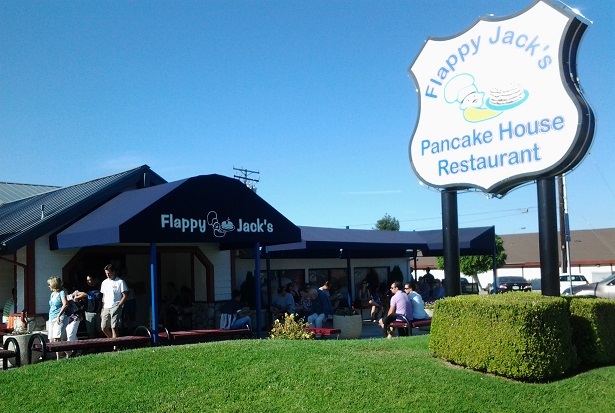 Flappy Jack’s is so busy you probably won’t feel comfortable lingering, as everyone from the staff to the mobs waiting for a seat want you gone, but you can’t blame them, and the food’s good. When I left, shortly after 9 a.m., a dozen people were outside, waiting for a table. They should have gotten there earlier. Upland now has an official cookie. Isn’t that perfect? That was some of the news from Monday’s City Council meeting, the subject of Wednesday’s column. By the way, I love my headline. I was thinking of other things a city or state might have, like an official flower, and the pun came to me. 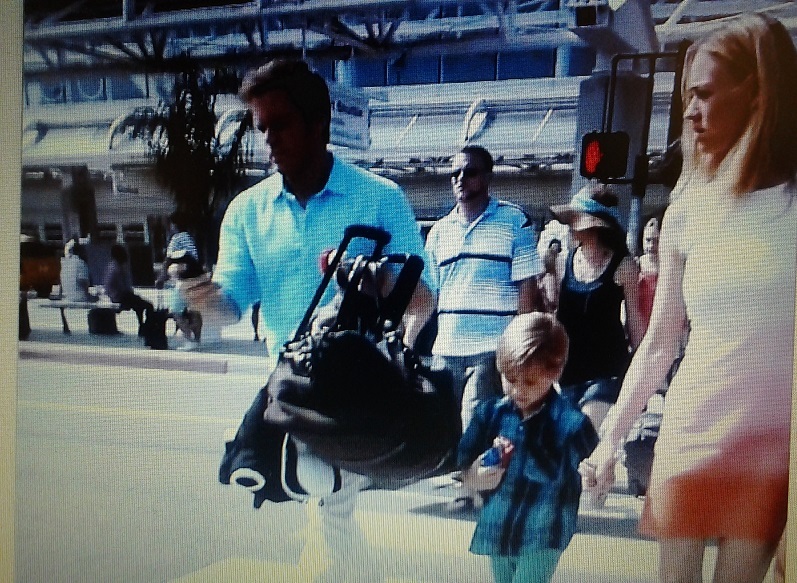 Sunday’s series finale for Showtime’s “Dexter” included a scene in which, as I understand it, the titular serial killer, played by Michael C. Hall, left Miami’s airport. As you can see, Miami was played by LA/Ontario International Airport. As an Entertainment Weekly blog post describes it: “Dex and Hannah leave the airport and get to his SUV, which has a rather amazingly great parking space right outside the terminal.” Close-by parking? That’s ONT all right! In KCET’s charming sports-bracket-type poll to choose LA’s Iconic Dish, Glendora’s Donut Man bested all comers, from Kogi’s short rib tacos and Langer’s pastrami to CPK’s barbecue chicken pizza and, in the final pairing, Philippe’s french dip. How about that! Their last day of cutting strawberries will be Saturday, they say on their Facebook page. I stopped by last Sunday after lunch nearby and got one, pictured above, without even knowing they’d won the contest. Watch a 45-second video here of two workers making them, shot through the window as I stood in line. 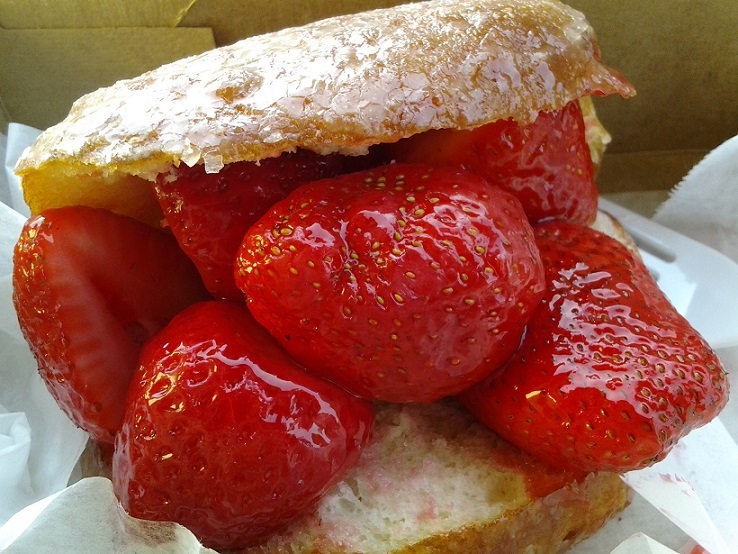 I love how the guy stuffs one extra strawberry into the donut. Gabrielle “Gabby” Giffords, the former Arizona congresswoman, came to Scripps College in Claremont on Saturday to receive the Ellen Browning Scripps Medal. The 1993 alumnus, who was commencement speaker in 2009, later toured the campus and posted a couple of photos to her Instagram account of her name on the Scripps graffiti wall (evidently from 20 years ago) and of her and her husband in front of her old dormitory. 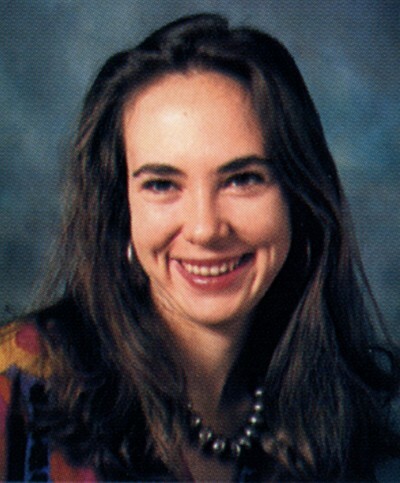 She graduated with a bachelor’s degree in sociology and Latin American history (!). Scripps sent us a few photos, including these two, from her 1993 yearbook. Her Wikipedia entry explains her career, including her near-fatal 2011 shooting and her 2012 resignation to concentrate on recovery. Sunday’s column has items on a royal visit to Pomona, an anniversary for Walter’s Restaurant in Claremont and two upcoming tributes to musician John Harrelson. All I wanted was a short item, honest, to top off an items column. So I attended Tuesday’s Ontario City Council meeting, in hopes of something happening. My reward was the spectacle of a feisty Ontario-Montclair School Board member speaking during public comment, and four council members firing back. It was among the more ridiculous, but entertaining, meetings I can remember attending. A roundup of news, history, food, travel and cultural items from around the Inland Valley. A journalist for more than 30 years, David Allen has been chronicling the Inland Valley for the Daily Bulletin since 1997 and blogging since 2007. He is the author of two books of columns: "Pomona A to Z" and "Getting Started." E-mail David here. Read recent columns here.